1200 Roosevelt Street, Reading PA 19606 - Be sure to like us on Facebook! To view our products click on the catalog links in the right column. 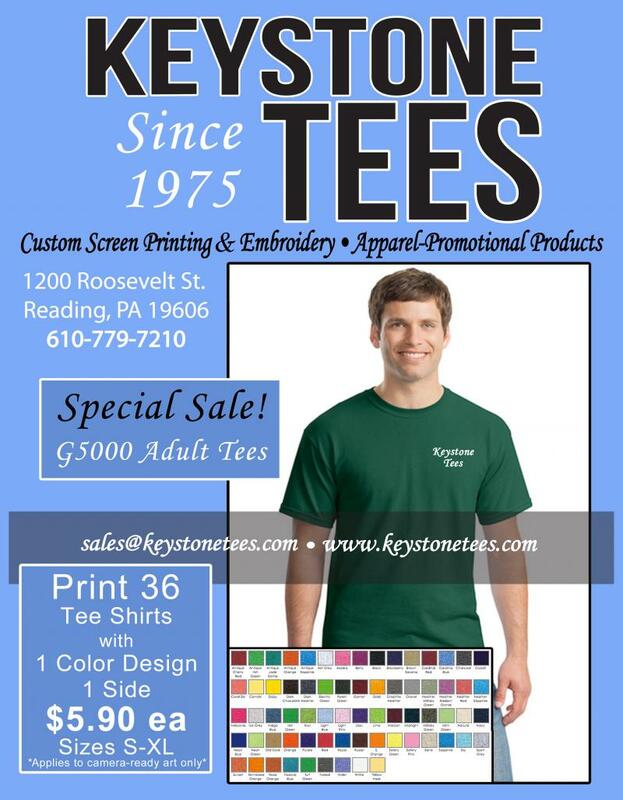 Keystone Tees offers a wide variety of apparel, uniforms, and promotional products at wholesale prices. We can also provide you with all of your screenprinting and embroidery needs. Please give us a call at 610-779-7210 or e-mail us at sales@keystonetees.com for a price quote. Due to the wide variety of merchandise not all products can be viewed on our website. 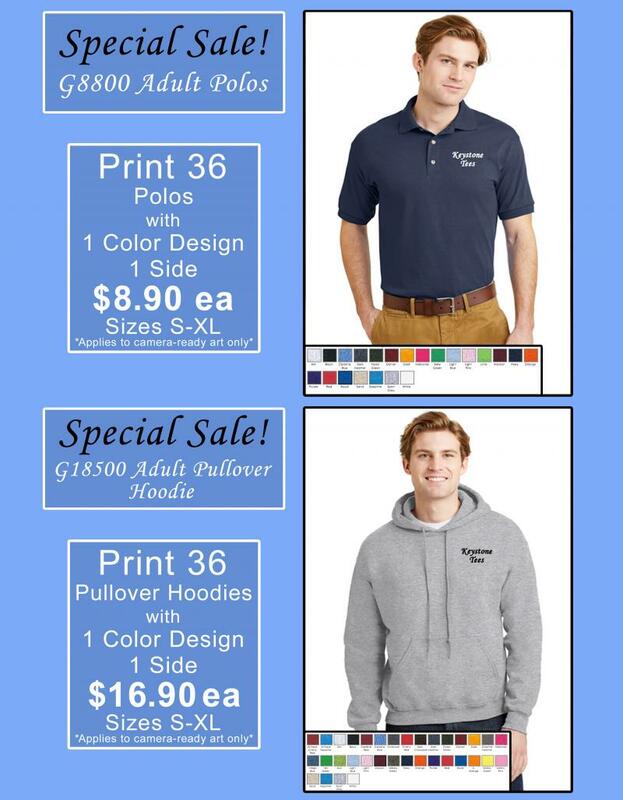 For additional apparel and promotional products please contact our sales department. Celebrating over 40 Years in Business!